Has anyone sanded out cracks, filled and recovered or refinished their dash? What was used to fill cracks? What was used to recover? straight fabric, purchased fabric cover, vinyl paint? I plan to start sanding this weekend. I will post before pictures. kwilford and pumpkindriver like this. 49 years and counting. GT back on the Road 10/21/2014! Most people don't install their own stitched replacement cover, which come from OGTS, but it certainly can be done. I make all my own upholstery and made my own custom dash, so I have a lot of experience working with vinyl, but I never installed one of those covers. It will take patience. It might take days, as you do one area at a time and wait for glue to dry. The inside arcs to the left of the glove box and those curved areas at the side vents will be the hardest to make the vinyl stick to. Body putty is what most people use to fill the cracks in their dashes before recovering. I've found that Goop works best to anchor the parts of vinyl that need to be pulled tight and anchored, while brush on contact cement is good for large flat areas. You don't have to glue it all in place, you can just anchor the ends of the vinyl with Goop where you fold them under the dash. The original vinyl was applied hot and almost molten and had no cloth backing. Replacement vinyl has a cloth backing and is stitched at various corners. I recently installed an Opel GT Source stitched vinyl dash cover. First off, the dash must be removed. No way to do it right when it is place. I used Permatex structural adhesive Plastic Welder to repair the cracks in the dash, and 3M 77 spray adhesive. I cut out all the cracks to make them ~1/4 wide or more, filled them several times, sanded the cracks smooth, and then sanded the entire dash with 150 grit. If the dash doesn't start smooth, it won't end up smooth. And it must be properly roughened up and fully de-greased or the adhesive will not stick. I used 3M Super 77 Spray adhesive but they have several other products that are also good adhesives, including 99 and 76. The hardest part was gluing the vinyl in place so that it was straight and wasn't wrinkled.. First thing was to test fit it by stretching it in place with no adhesive. I learned to glue it in parts, starting at the front edge, then another few inches, and so on. Lots of clamps, lots of patience. I stapled the edges with stainless staples. Last edited by kwilford; 1 Day Ago at 06:06 PM. tomking, tealcarver, opellane and 6 others like this. 3M Super 77 is an excellent spray glue. If you want perfect, and have the money, Just dashes is the answer. I got mine done years ago, and I was in shock when I saw the new prices. If I could have gotten the stitched dash cover ,and get the same look that Keith did, that would be the way to go. Great job Keith. I am not talented enough to put one of those in. Last edited by tealcarver; 1 Day Ago at 11:50 AM. If you want perfect, and have the money, Just dashes is the answer. I got mine done years ago, and I was in shock when I saw the new prices. If I could have gotten the stitched dash cover in like Keith did, that would be the way to go. Great job Keith. Yes, I got a quote. NutsO. Like $1,200. I am starting with two yards of quality vinyl. I cut out all the cracks to make them ~1/4 wide or more, filled them several times, sanded the cracks smooth, and then sanded the entire dash with 150 grit. If the dash doesn't start smooth, it won't end up smooth. And it must be properly roughened up and fully de-greased or the adhesive will not stick. I used 3M 77 but they have several other products that are also good adhesives, including 99 and 76. Thanks for the info on your experience. This is the basic direction I am going except with straight fabric instead of a stitched cover. I bought 3 large cans of the 3M 77. Hopefully enough for the carpet and dash. I have some experience with laying up carbon fiber over tools and understand the challenges of laying fabric over complex contours. I expect time and frustrations. We will see. Here are a few more photos of the process, including the console. I did that first, to practice on, and that was a good thing. I got it a bit askew, and the only way to get it better was to rip it off before the glue became too set, and start again. The real trick, in my opinion, is to glue the stitched parts in place FIRST, to get them in the correct location and to get them straight. THEN do the next couple of inches. I got better as I went, and learned a few tricks such as gluing the part that curved one way, clamping it, WAITING...... WAIT some more..... THEN proceed with the next few inches. Rushing is bad and stupid and I did it too often. I also found that marking the back of the vinyl with a felt pen AND the dash with a white marker to show me where to spray the adhesive (both sides have to match of course) was very helpful. And to install the relevant parts (front and defrost vents, glove box) as those areas were done, to ensure that the parts would fit back in place. One mistake I made was to NOT ensure that the steering column attachment tabs were in good shape ahead of time. I had clamped them together to keep the ends from flexing, but just as I finished the cover, one tab broke from being flexed a bit too much. So I had to wrap the dash in wet rags and MIG the tabs together and add a reinforcement piece. That didn't allow me to use the original captive nuts, so I actually had to epoxy them in place once the dash pad was installed. Seems OK, but I wasn't as happy as if I had done it properly BEFORE I covered the damn dash. tomking and MattsAwesomeStuff like this. I covered my dash about 8 years ago with the OGTS vinyl kit. I've attached pics. I used the 3m spray which went very well. I filled in the cracks that I cut out and sanded them smooth. I glued down the dash edge first, then the front before finishing off with the top. I used a hair dryer to soften the vinyl to mould it into the hollows. It looked good for quite a few years but lately I've noticed that the filled in spots are slightly visible in direct sun. If I had the chance to do it again i would do it like I saw how they covered a dash on one of my car shows. They glued down a very thin foam over the top of the dash after filling the cracks. Then they used a small circular sander to feather the edges for better blending. Then they glued down their dash cover. kwilford, handlebars, itb gt and 1 others like this. I They glued down a very thin foam over the top of the dash after filling the cracks. Then they used a small circular sander to feather the edges for better blending. Then they glued down their dash cover. That's an EXCELLENT idea! I used the 1/2" thick variety on my custom dash. It's called sculpting foam and it comes in all sorts of thicknesses. Same stuff as styrofoam cups, which last forever, but it's monolithic instead of little nodules like the cups. Great to work with and glue stuff to and you can shape with sandpaper or a file. Easily obtained on Ebay. i bought an already completed vinyl dash. It looks superb. 5 years later still perfect. but garaged entire time. I have a crack free dash just waiting to be installed in my car. I'm pretty convinced i want to vinyl cover it before it goes in, love the vinyl/stitched look. thankd for the info about the foam, i'm gonna use that. I got thinking about my reply yesterday and I used a heat gun set on low instead of a hair dryer. Also some people complained about tearing the vinyl at the screw holes when putting it back into the car. So I heated up the vinyl over the hole with the heat gun and used my index finger to push the vinyl into the screw recess and poked a small hole for the screw. Then I would screw it into place while the vinyl was still warm. 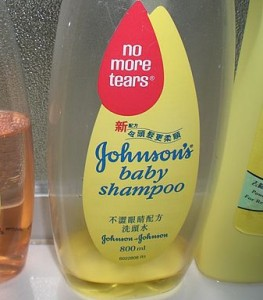 No tears! How would you lower your GT (options)? Performance options with the 1.9?